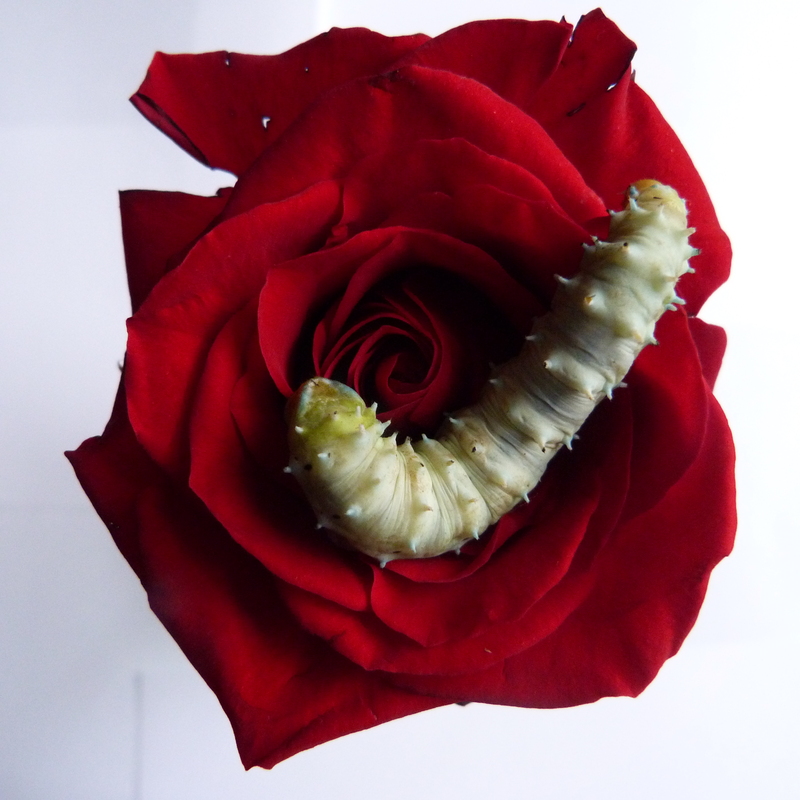 For the benefit of all those who have requested more caterpillars, I have compiled an omnibus edition. 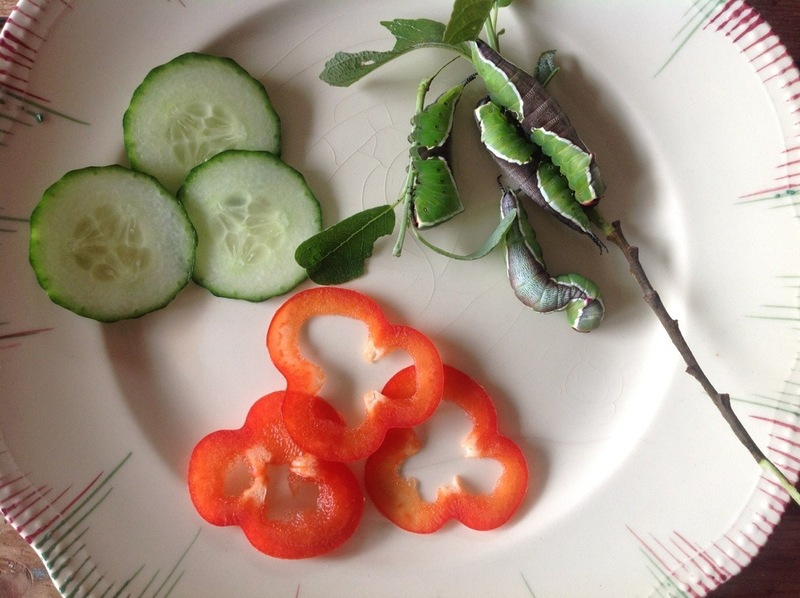 I have always had a penchant for caterpillars in reeking jars on the bedroom windowsill, but now I have grown up (!) 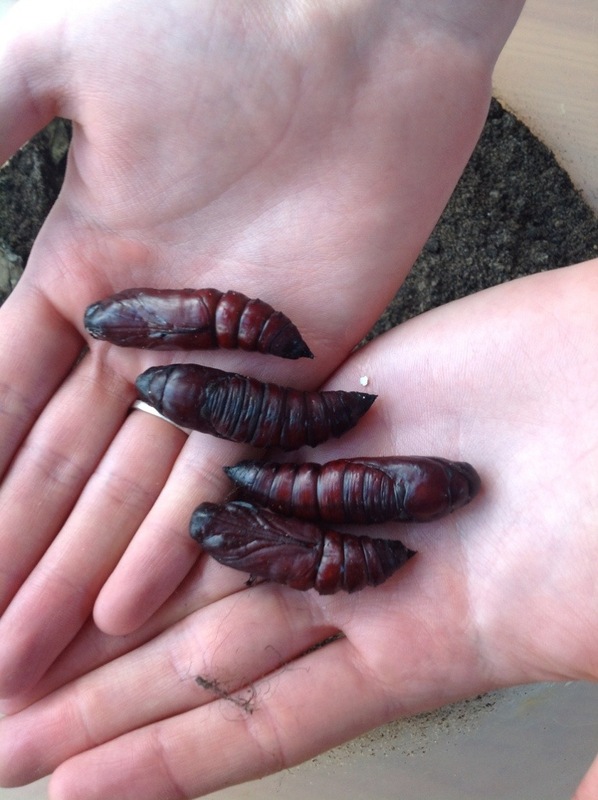 I can usually raise them to maturity. 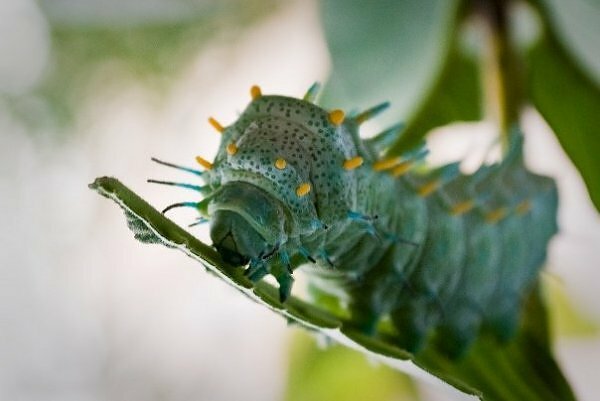 No caterpillars were hurt in the taking of these photographs. Starting with a nice little quintet. 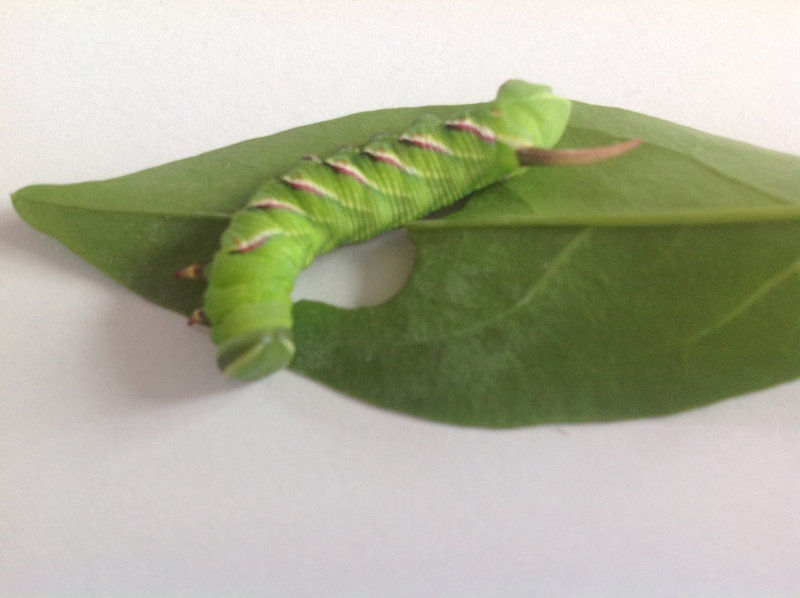 Caterpillar in a Travelodge; I had to take my Death’s Head Hawkmoth caterpillars with me because no one else in the family would touch them. 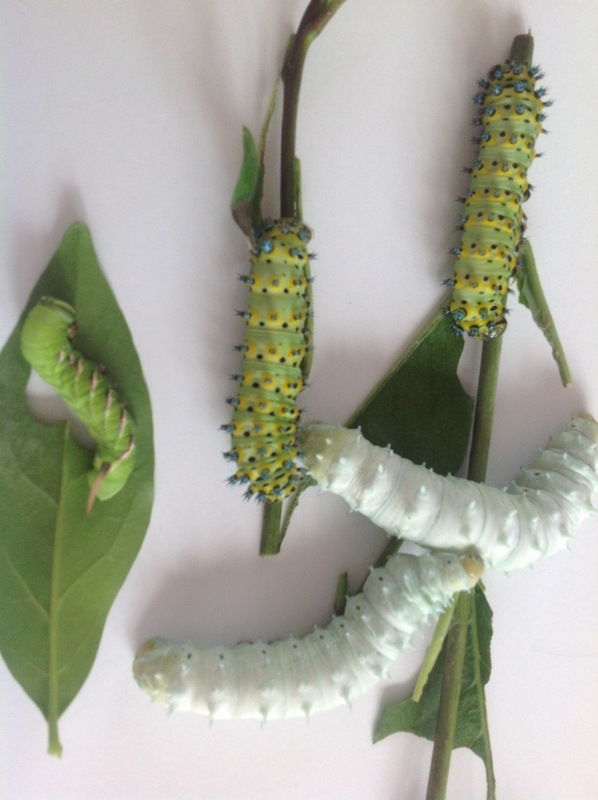 Latency – they finally pupated! 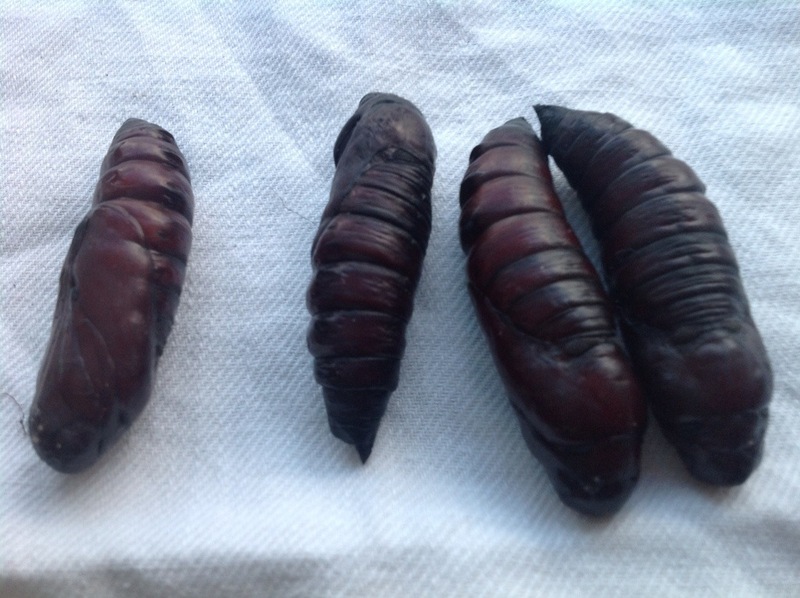 Vulvular caterpillage – this distressing condition is fortunately very rare. 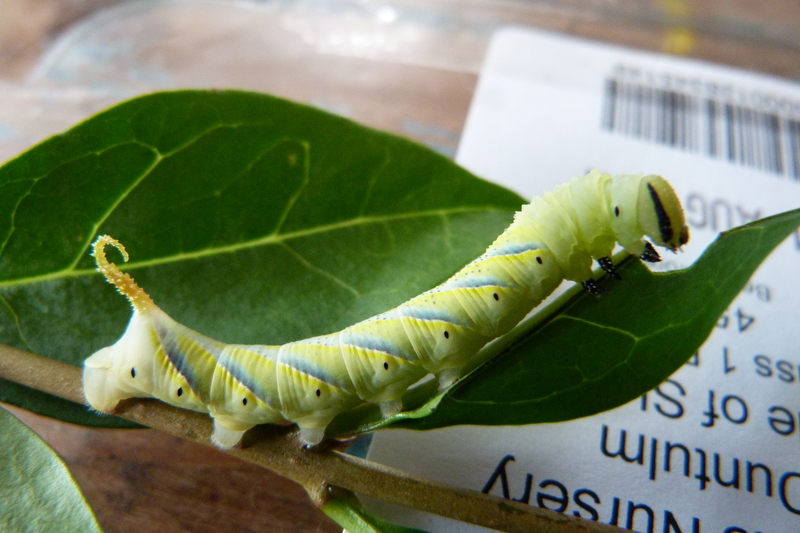 This young hawk moth larva is blissfully unaware that it is reading the Guardian upside down. 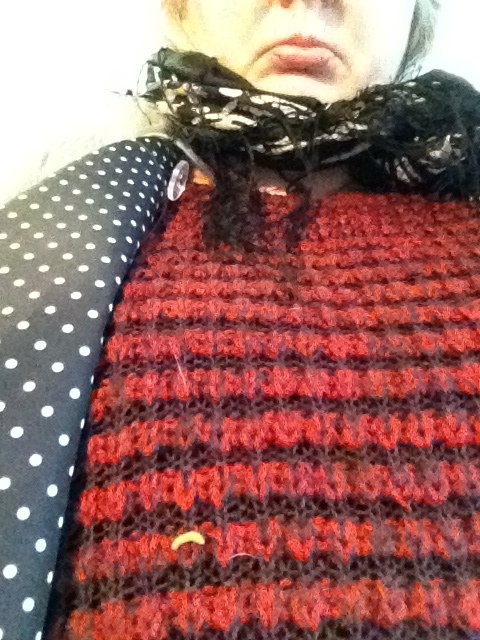 Lederhosen: shiny, shiny, shiny suit of leather. 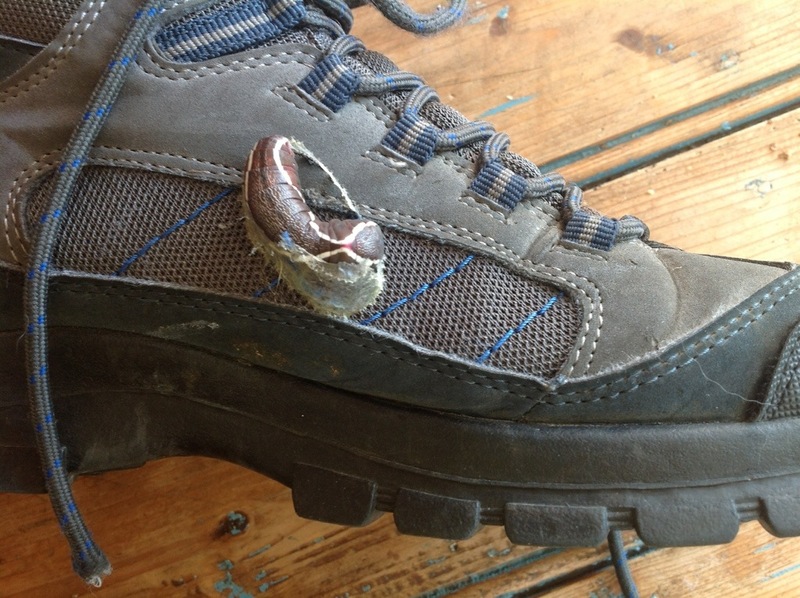 Puss on boot: a puss moth caterpillar settles for my husband’s walking boot as a suitable site to make its cocoon. 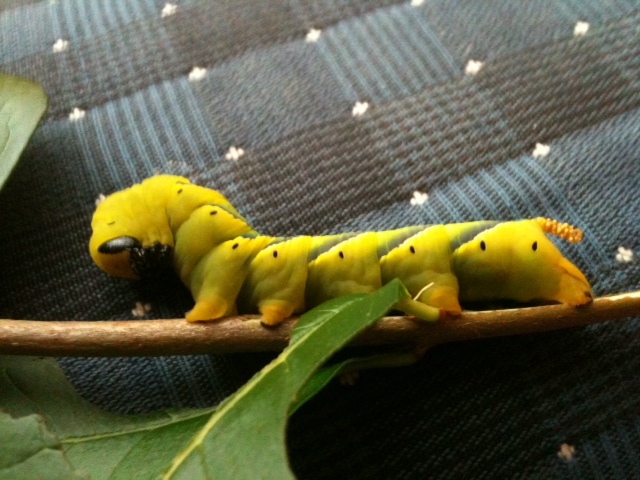 Another day, another caterpillar catastrophe. 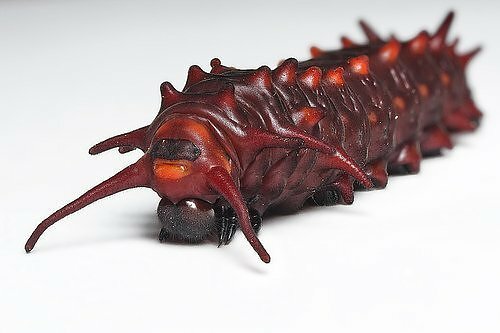 When I got back from the shops I discovered I had been wearing a caterpillar under my coat. 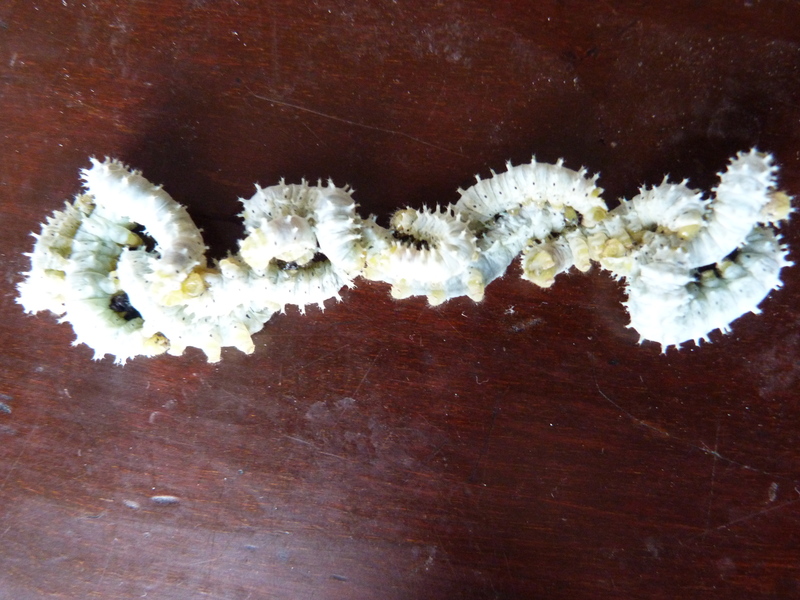 Last night I dreamt of mandibles. 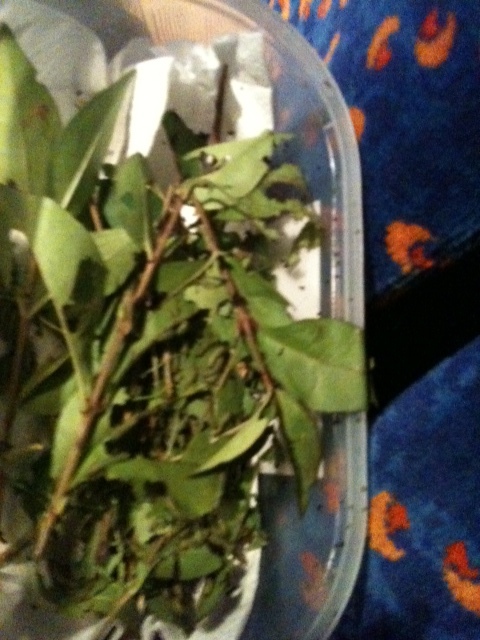 More travels with caterpillars – this time on the Megabus from Dundee to Skye – sorry about poor quality pic. 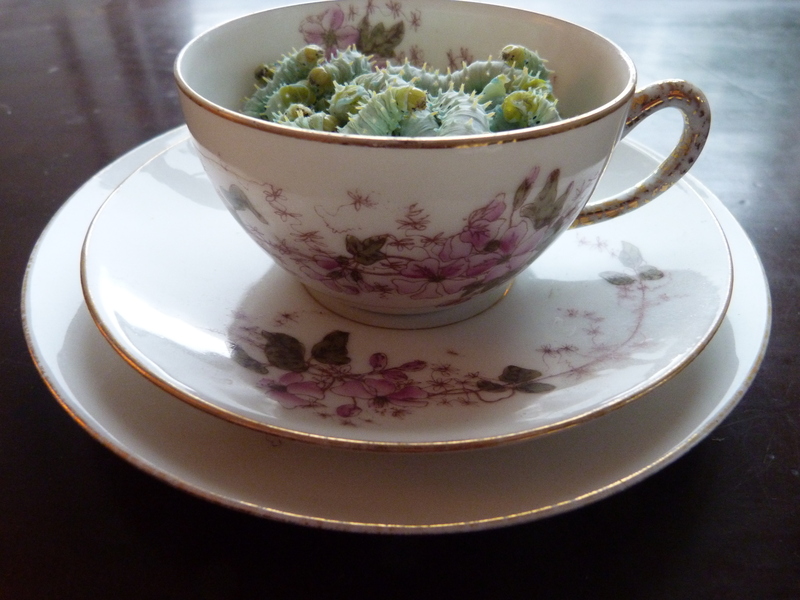 I like a nice cup of tea in the morning. 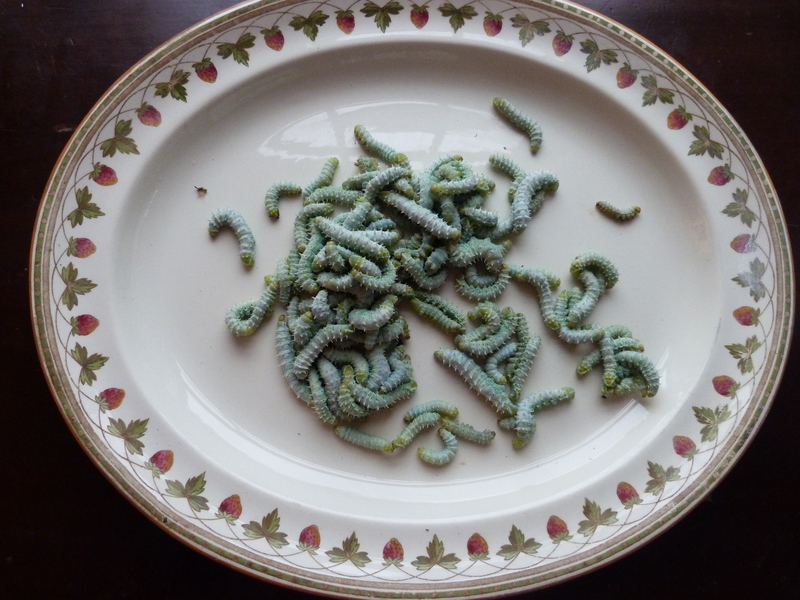 And a nice plate of Samia Ricini larvae for my tea. Oh Rose! thou art sick. 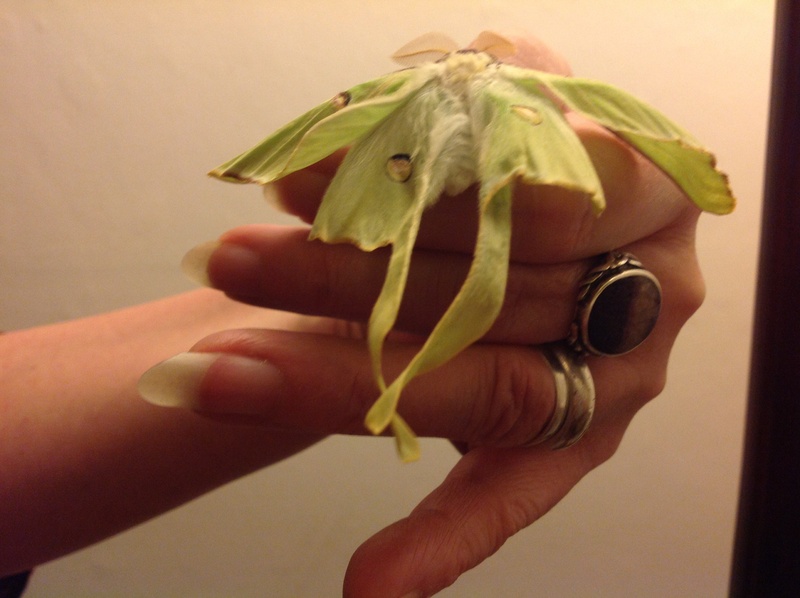 Accessorise; my Luna moth has hatched. 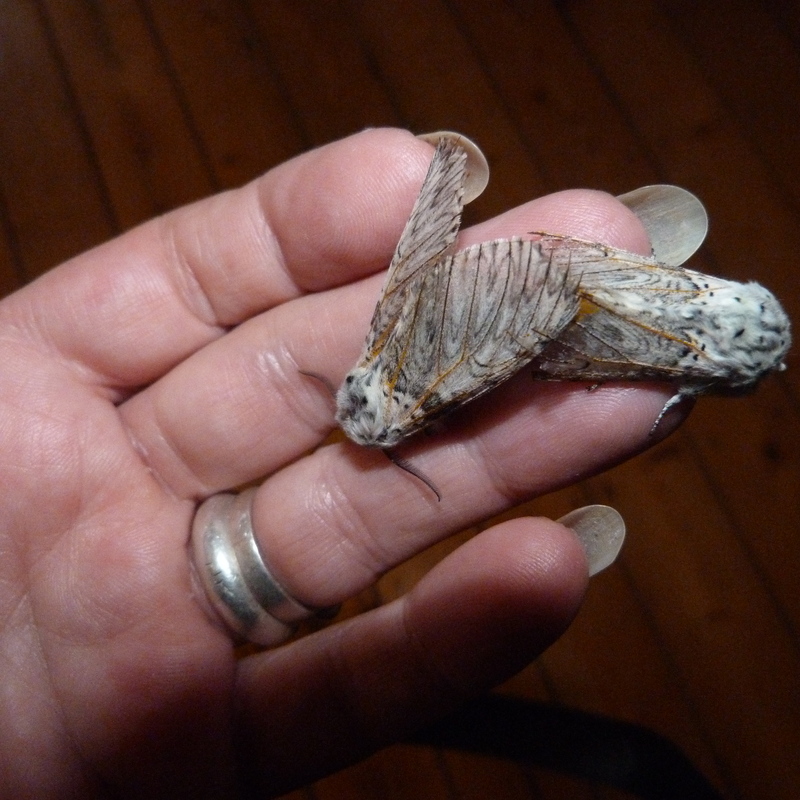 So have my puss moths. And they started getting jiggy with it straight away! 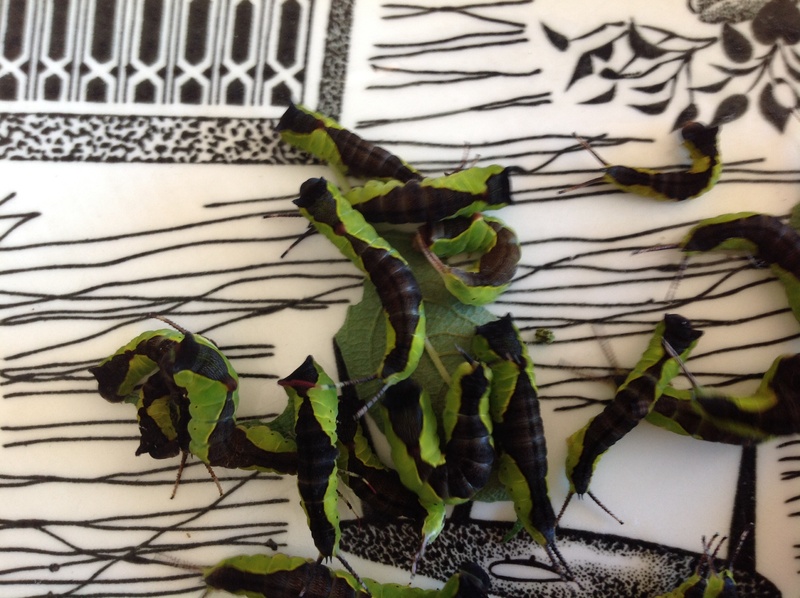 With the resultant jazzy caterpillars – I think they have a touch of the Commedia about them with their harlequin patterns. 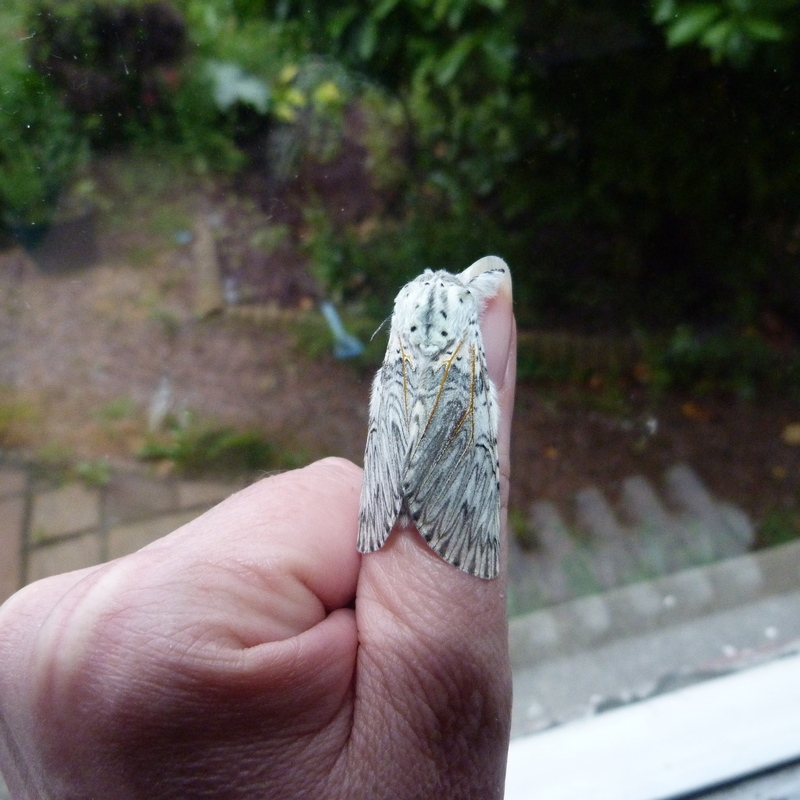 Stylish Privet Hawk – loving the stripes!